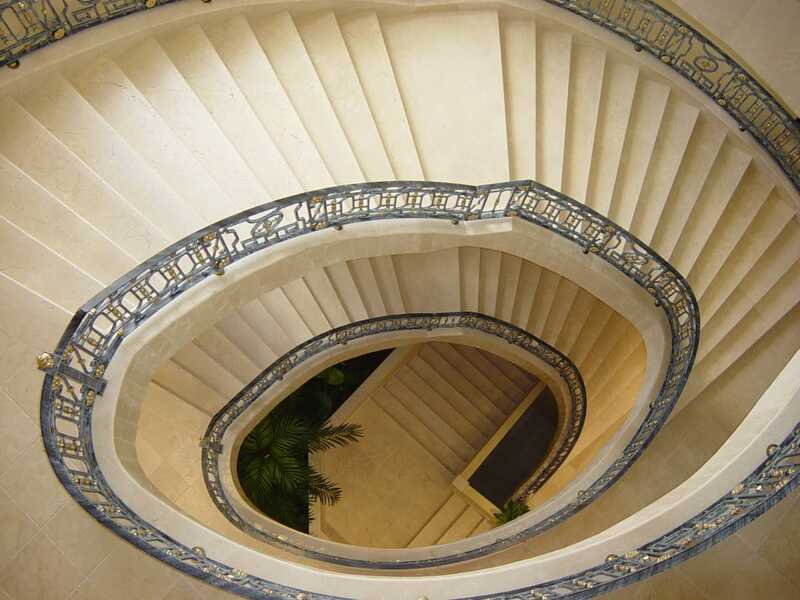 Natural stone staircases transmit robustness and elegance. Their steps made of stone combine beauty and resistance with a material extracted 100% from Nature. One of the most significant advantages of natural stone is that it allows the realization of unique and singular pieces. This element is ideal when designing a staircase. It is also a versatile material that can be applied both in interior and exterior cladding. It admits an infinity of textures and can, therefore, be included in any style, from the most traditional design to the most minimalist. 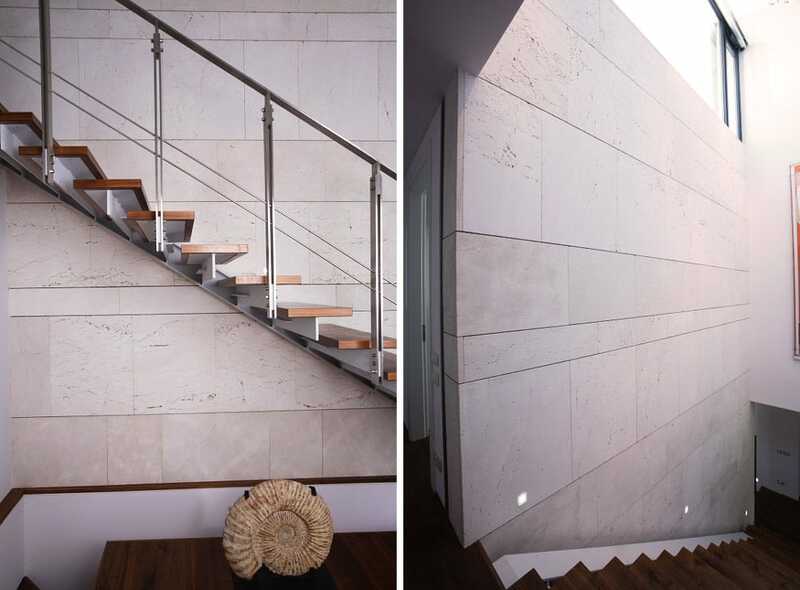 This post is the continuation of the previous one titled “Marble staircases.” In this occasion, we want to show real examples from, both, residential and hotel sectors in which TINO Natural Stone has participated. The material of this imposing staircase with organic lines is Crema Bianco, a beige marble with soft tones. The ensemble, of palatial style, produces an enveloping sensation of comfort thanks to its curved lines and the warm tones of the steps. The project belongs to the Beatriz Palace Hotel, in which TINO Natural Stone participated as a marble supplier in Fuengirola. 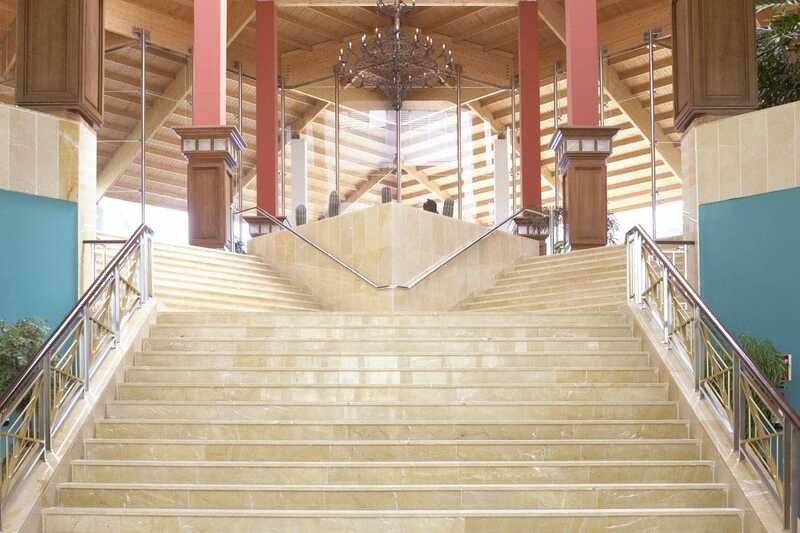 With a cottony appearance, these staircases are located in the interior of the NH Sotogrande Hotel. TINO Natural Stone used Perlino Bianco in its elaboration. It is a white limestone full of personality thanks to its exceptional network of veins of green and grey tones. The finish applied to the stone was COTTON, a satin texture in which the material goes through a flaming process. The final result produces this particular spongy aspect. The Hotel Kempinski Bahía Estepona has these spectacular staircases that combine two marbles of different colors: Alicante Red and Royal Cream. If we take a closer look, we can see the beauty of the Antico finish with a subtly aged texture. TINO Natural Stone was selected as the marble supplier in Lanzarote for the Hotel Hipotels Natura Palace & Spa. Yellow Parador marble in a polished finish was used for the staircase of the large hall. A stone with golden tones and white streaks that adds warmth and distinction. We leave the hotel sector to visit a luxury villa in La Moraleja (Madrid). In this case, the steps of the staircase are made of wood. However, we wanted to include this example for its successful combination with an evolving Royal Travertine in Antico finish. Its contemporary quartering design creates a perfect balance of natural materials. We return to the organic lines, this time in the hall of a luminous single-family house, to see another example of natural stone staircases. 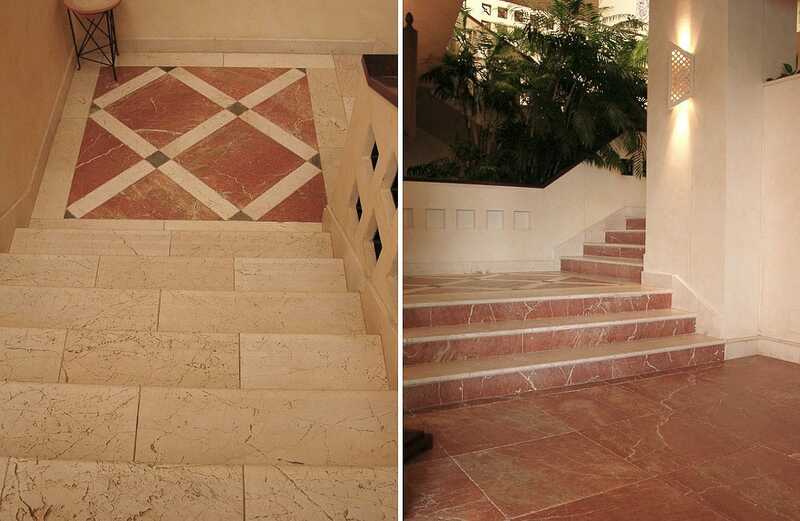 The three steps leading to the door are cladded with Travertine Olivillo. It is a precious natural stone of toasted color and in a Forum finish. 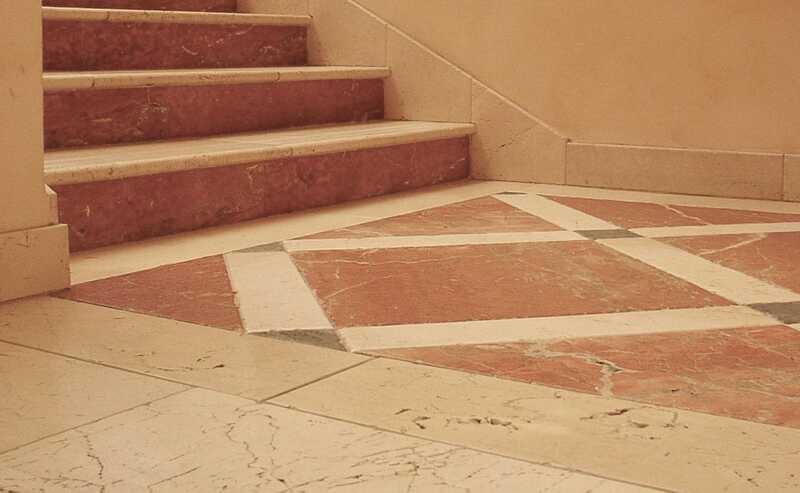 Its slightly rounded edges and areas of random wear remind us of the appearance of the floors of the old European palaces. 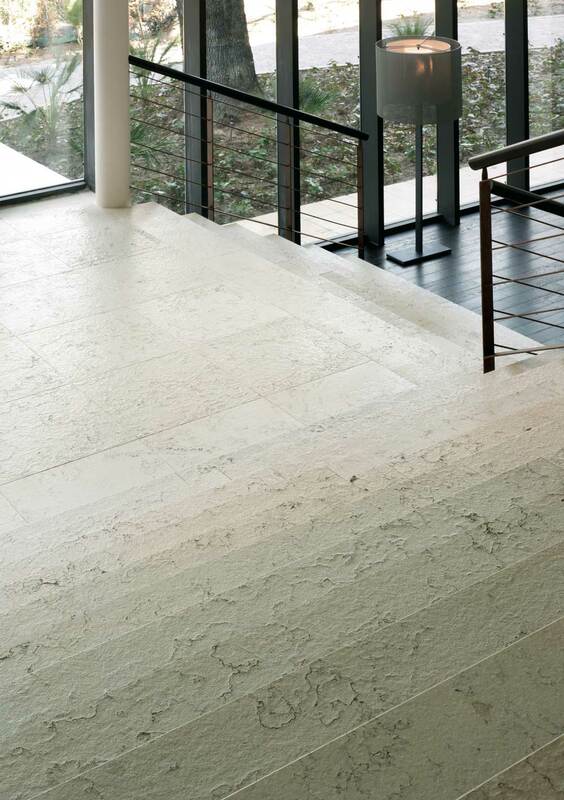 Finally, we visit a work made out of Travertine Classic with a honed finish. Its natural holes are covered with impasto in its color. 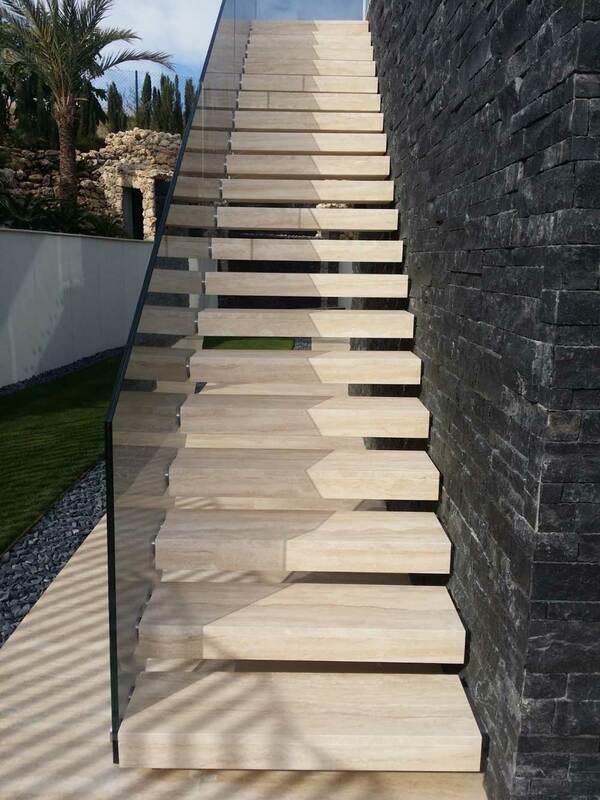 This modern staircase, with clean and sober lines, stands out for its suspended steps. In them, the steps and the risers seem to be part of a single piece, which provides robustness and lightness at the same time. 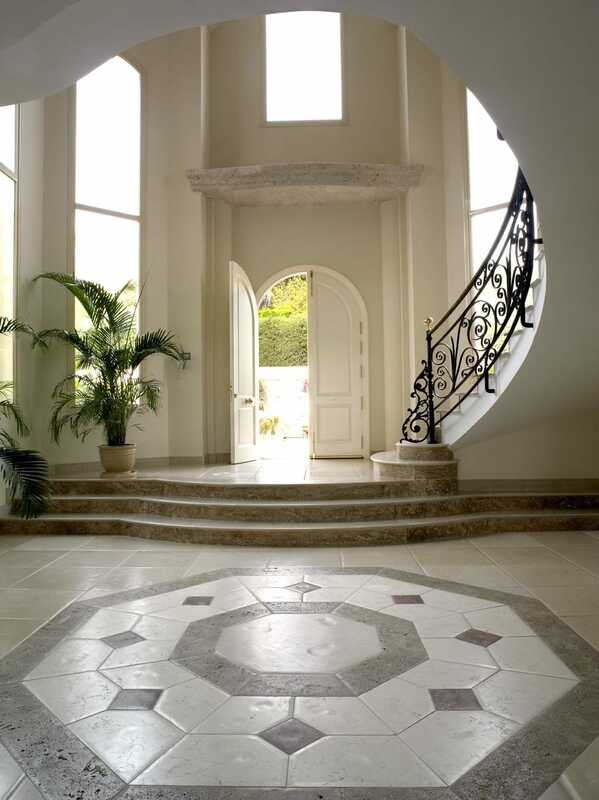 Would you like to include natural stone staircases in your project? Contact us.